According to Tom Jackson, his father – Ron Jackson — has the HVAC Industry in his blood. Ron studied it in high school, worked on it while serving in the U.S. Air Force, and landed his first real job working for an old HVAC controls manufacturer known as Barber Coleman (which eventually became Robertshaw). Ron Jackson served as the Barber Coleman service manager in Indianapolis. In the 1960s he left Barber Coleman and started his own company – Jackson Controls – which is still in operation today. That company had the distinction of being the very first independent Honeywell commercial distributor in the U.S. It focused purely on the commercial marketplace, building giant control panels for use in large commercial applications across the Midwest. When Ron sold that company in 1981, it was so he could pursue the path of a full-time inventor. He developed a zoning system which he sold to a company called Enerstat of Ottawa, Canada. After working for this company for 12 years, during which time he was responsible for all their zoning operations, Ron decided he was ready for another change. So in the early 1990s, Jackson parted ways with Enerstat and returned to his roots as an inventor. Ultimately, he invented and developed a new type of zoning system that targeted the residential marketplace. In the meantime, Tom Jackson graduated from Purdue University. 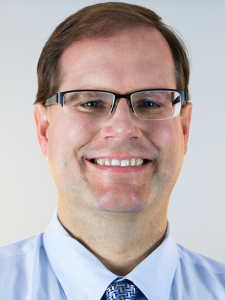 His first job was with Indiana Supply – a Trane Distributor in Indiana. He and his parents decided to start a residential zoning company together and so on January 1st 1997 Jackson Systems was born. He says the initial focus was on developing contractor-friendly controls that were easy to install, troubleshoot, and repair. “We knew the “big boys” focused on cutting edge technologies,” he says. By “big boys,” Tom is referring to the large controls manufacturers like Johnson Controls and Honeywell. 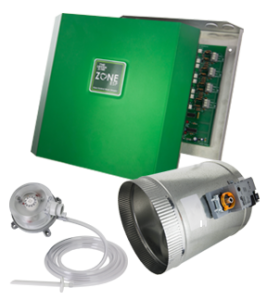 Jackson Systems, LLC., is a family-owned manufacturer of zone control systems and thermostats. 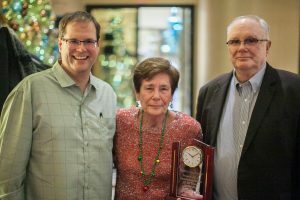 Company CEO Tom Jackson (left) is pictured here with his mother Bette, and father (and founder) Ron. Jackson Systems today isn’t only known for their zoning control systems. Tom says that a natural component of a well-designed zoning system is a good thermostat. Which is why they became very involved with thermostats. “In 1999, we began a thermostat private labeling program. Today people know us more for our thermostats than our zoning. 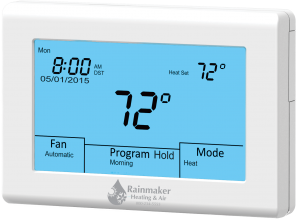 We represent all the major thermostat manufacturers, so we do sell Honeywell, Aprilaire, White Rodgers, Ecobee, and Nest. Not only are we a manufacturer, but a distributor as well,” Jackson adds. To grow the company, the Jacksons needed to build more development infrastructure. Tom and Ron simply couldn’t do all the work necessary and they wanted to stop using third party developers. So, according to Tom, they began bringing in people to help with product development in the early 2000s. As a result, today they can design products, manufacture them quickly, and manufacture them in small quantities – something their big commercial competitors can’t or won’t do. “This is one of our strengths,” Jackson says. 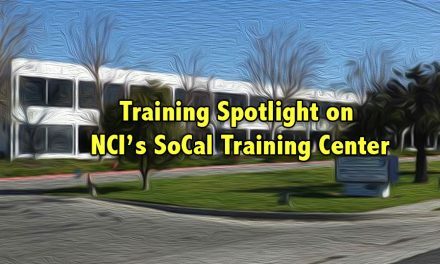 “If our contractor and OEM clients need something special or unique, we have the team in place that can provide it. One reason for this program is to help contractors better deal with the retail-vs. professional channel issue that pervades the HVAC Industry. He says many of their customers don’t like working with suppliers that sell products direct to consumers through big-box stores or online. According to Jackson, Filter Fetch helps contractors battle retailers like Lowes and Home Depot. The latest product/tool the company is working on for contractors is the Jackson Systems App. This is a smart phone two-way video app that technicians can use to connect with live technical help at Jackson Systems. The technician can show a picture of the zone panel or thermostat they are having troubles with and the Jackson Systems tech can see what the problem is and offer suggestions on correcting it. This is real-time help. The app will be available in both the Google and Apple app stores soon. Pictured here is the Zone ESP group of zone controls by Jackson Systems. Click here for more information. 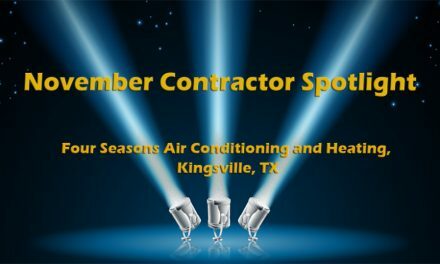 Because of their strong focus on the HVAC contracting community, Tom says they like being partners with those groups that work hard to promote the HVAC industry and who focus on the technical side of things. T-32 thermostat with imprint of contractor’s name at the bottom. This puts the contractor’s brand first in the consumer’s eyes. Indeed, part of the Jackson Systems mantra is to help contractors be more professional. Helping contractors to solve consumer comfort issues is their mission. So Jackson Systems works hard to simplify their products and services so contractors can easily apply and service them. But to do that, especially in the residential market, their controls need to be able to play nicely with other controls contractors may find in a customer’s home. That would go a long way to make residential HVAC contractors’ jobs a little easier. It also is a great segue into the home automation movement, which Tom thinks is important and that HVAC contractors should keep their eyes on. Finally, Tom offers this bit of advice to the HVAC contracting community: “In all things I believe the HVAC contractor IS the brand. Not the distributor. Not the manufacturer. The contractor. As a small manufacturer, I believe that contractors are the face of the industry. They own the relationships with their customers. The key to keeping that relationship is the contractor’s ability to differentiate themselves from the pack. 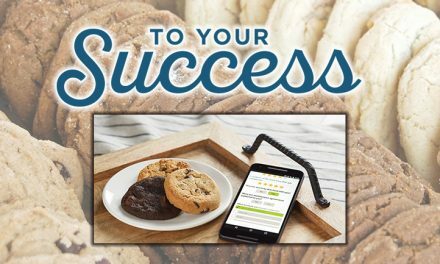 For the NCI membership, I see the key differentiation as the performance-based contracting approach to customer comfort, with a bit of self-branding thrown in.